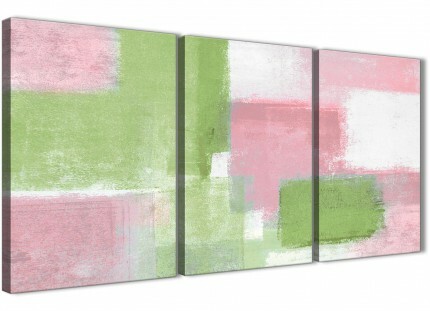 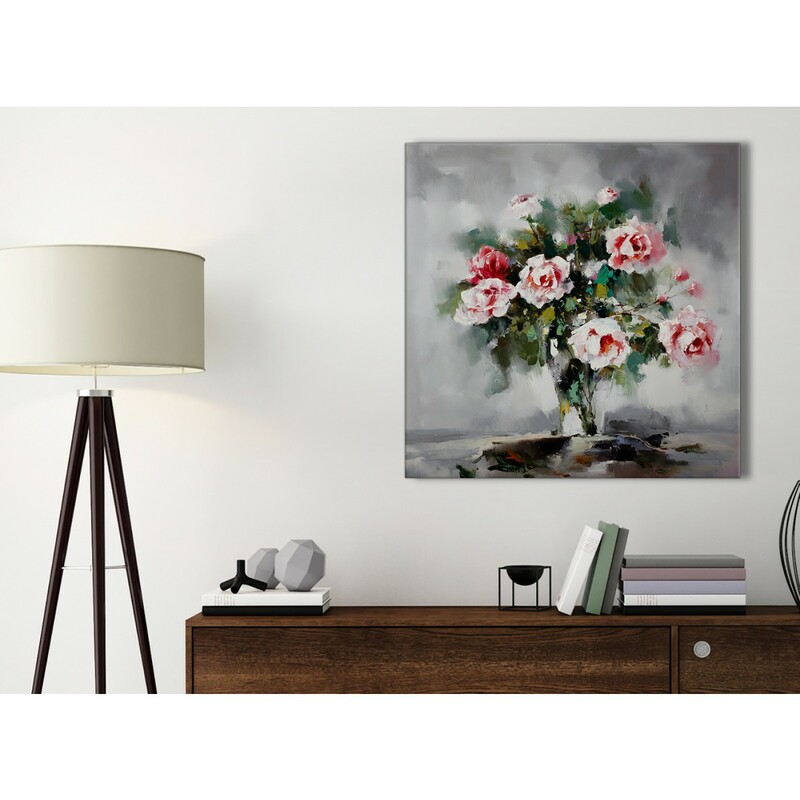 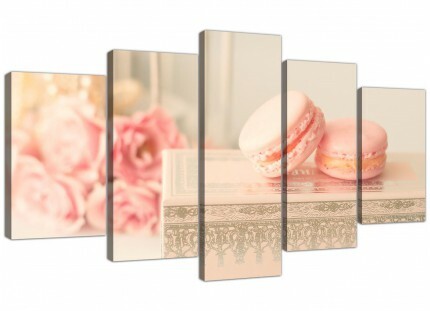 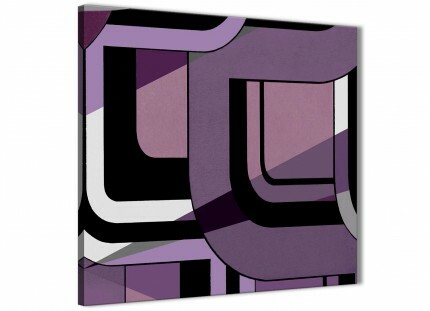 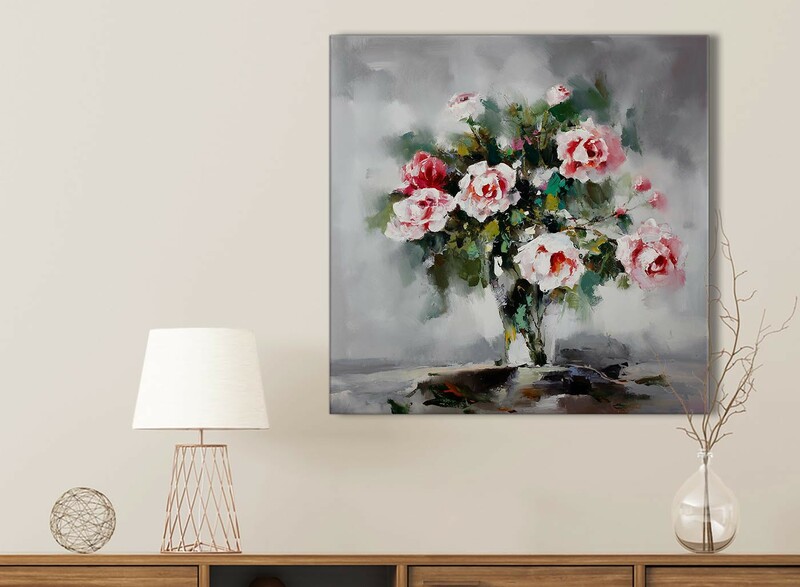 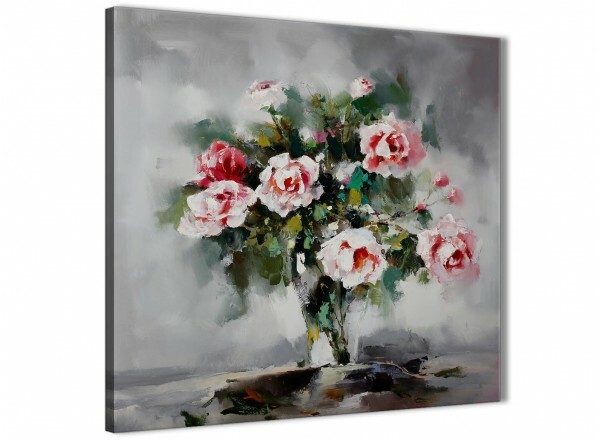 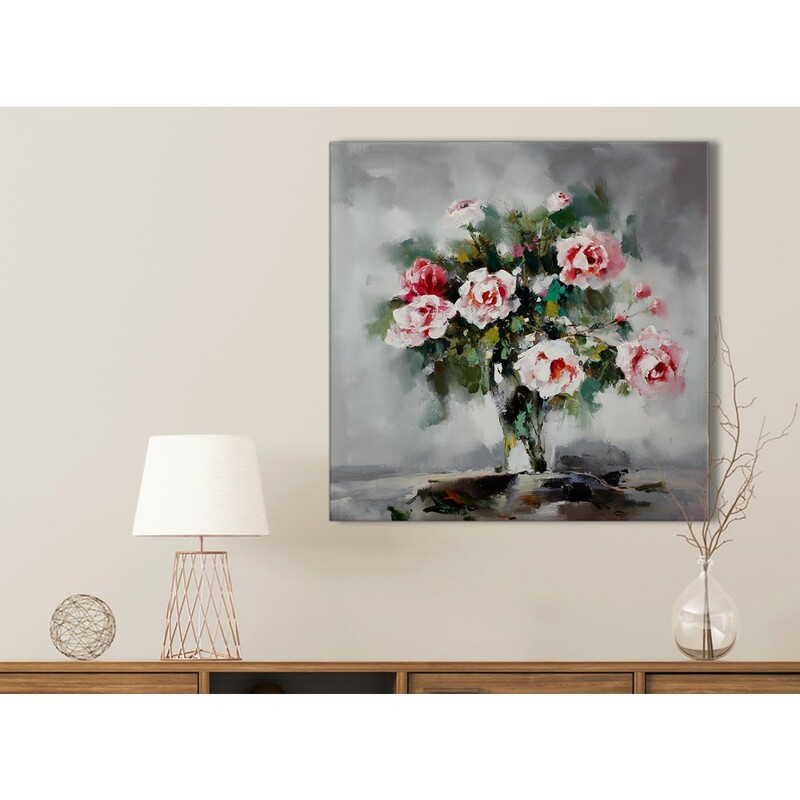 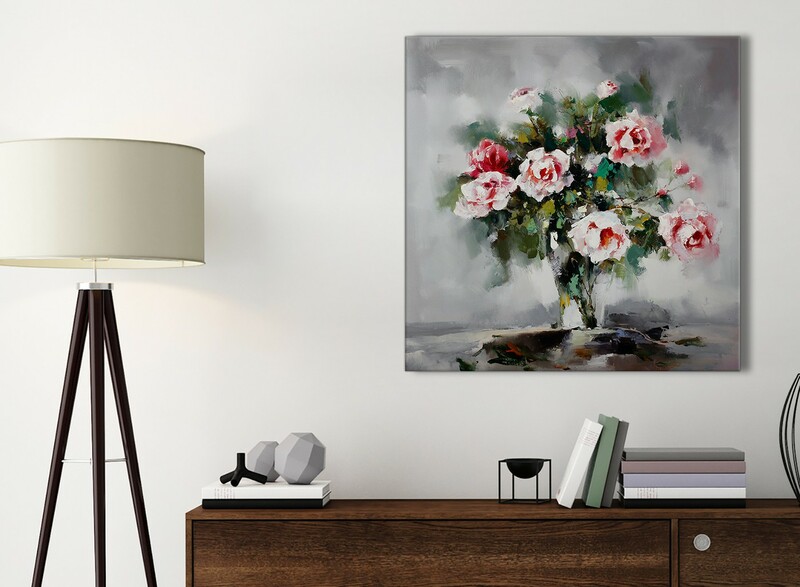 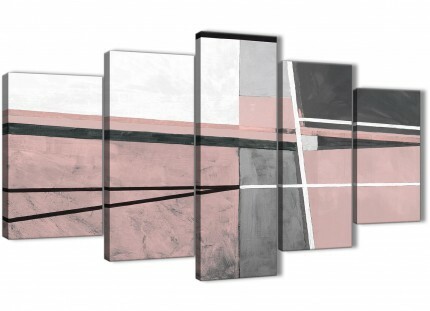 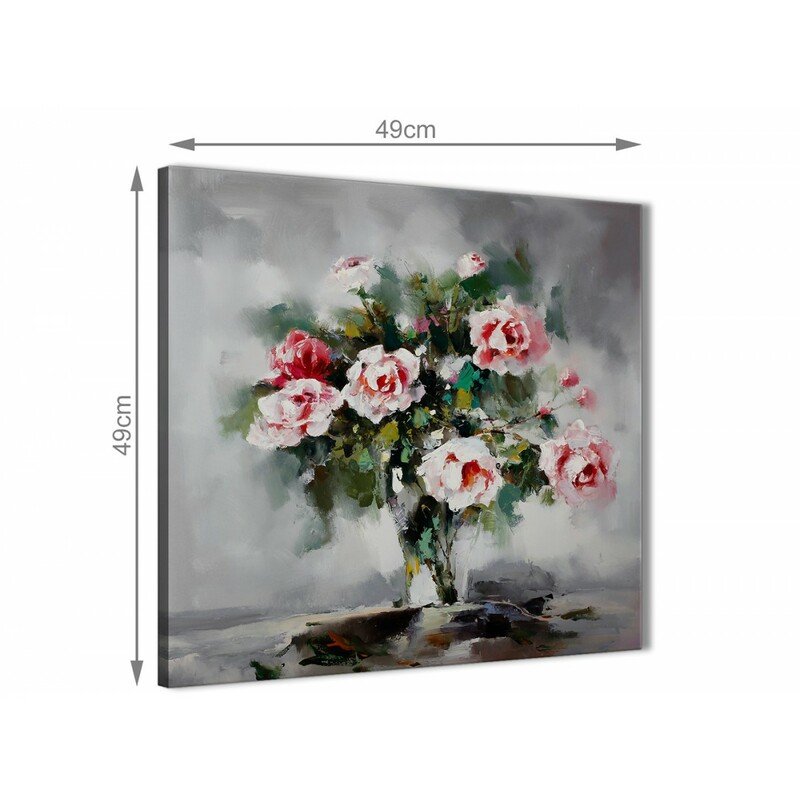 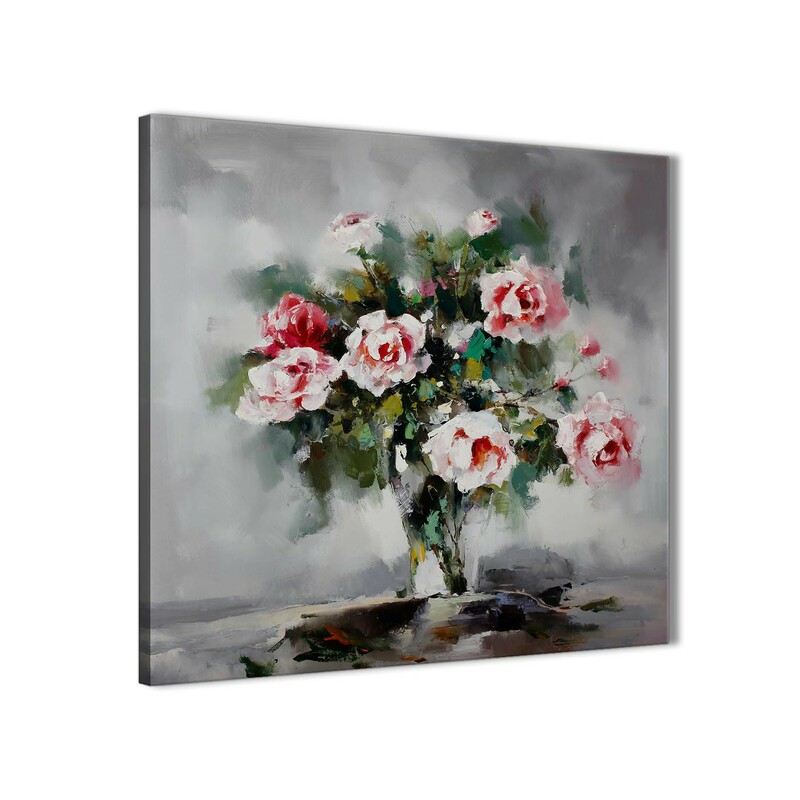 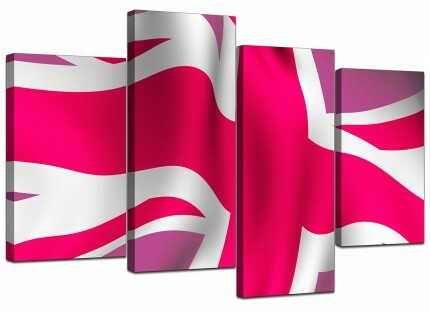 A Pink Grey Flowers Painting contemporary canvas wall art print. 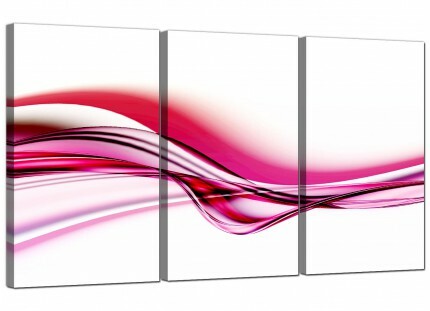 Our images are reproduced to the highest quality with fade proof inks. 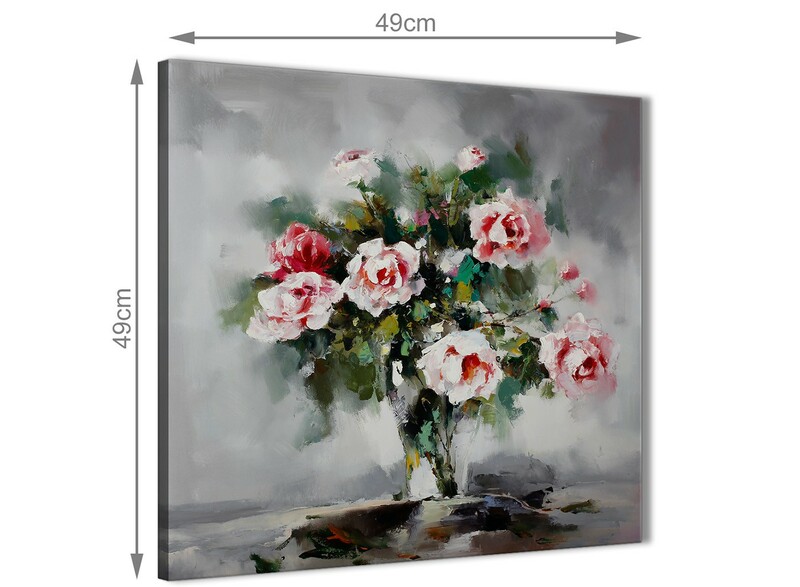 Great width for over your bed.